OK, so that last part probably isn’t true. But that’s how it felt growing up. I was raised in a rural, rancher community. My father hunted. My family ate meat three meals a day. And I did too, until I watched the video. At age 16, I saw PETA’s iconic video, “Meet Your Meat.” It was right before Thanksgiving. The violence was gut churning and extraordinary. 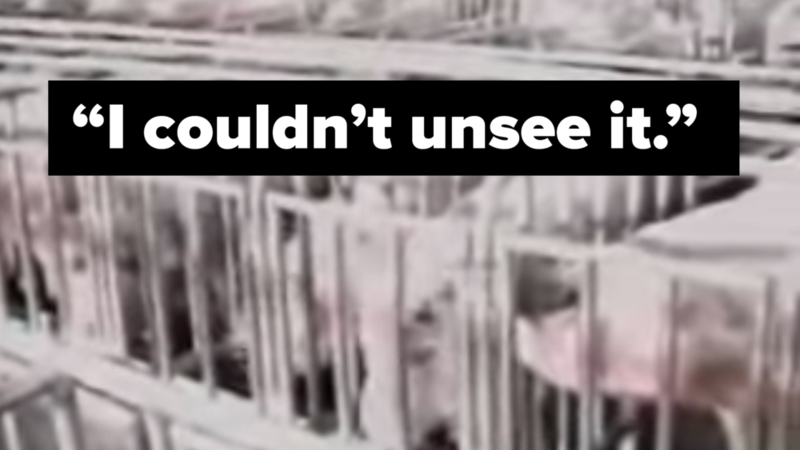 What’s worse — this horrific cruelty looked like business-as-usual. Killing runt piglets by smashing them into the cement floor. Mutilating animal bodies. I couldn’t unsee this torture. And I didn’t want to be a part of it. I decided to stop eating meat then and there. As a NEAVS supporter, I’m sure you have your own version of this realization. The thing that woke you up to the abuse of animals. In that moment, I discovered how powerful it is to act on your convictions. I’ve been powerful ever since. Things happened fast after that. During college, I found growing community of activists outside of Cody who knew there’s a better way for people or animals. In Utah, New York, and a dozen other states, I’ve protested against animal experiments. I do what it takes to expose the daily horrors inflicted on animals for no good reason. Today, I’ve got my sights on a billion-dollar industry that’s torturing animals and holding science back. That’s why I joined NEAVS. My job is to mobilize people across the country to unite and win. Maybe it’s because of where I grew up — I know this cause brings together all kinds of people. College students, former research scientists, republicans, democrats, cowboys, and vegans. We all find common ground in the fight to end useless animal experiments. We all know how good it feels to put what you believe into practice and do something about it. Take two minutes to join NEAVS’ Action Network. I’ll send you quick steps you can take to end animal suffering in your backyard or US capital.